Another time travel post to the 1950s to explore what's going on at the Walt Disney Studios in Burbank, California. 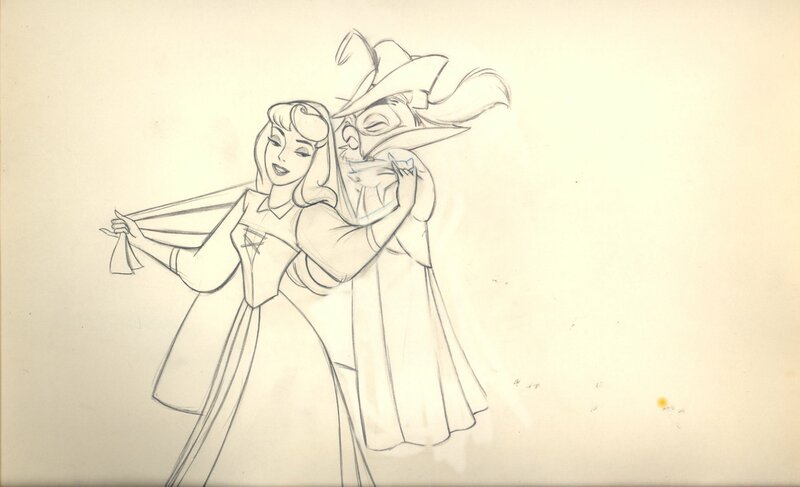 A cameraman with the help of an assistant is photographing painted cels of Fauna and Merryweather, two of the Three Fairies from Disney's wide screen spectacle Sleeping Beauty. 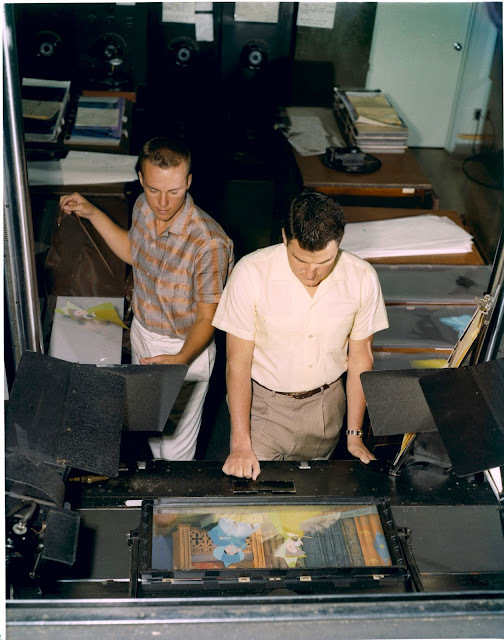 I wonder what these guys might be thinking: What phenomenal art...I hope I didn't leave any fingerprints on the cels...or, what's for lunch? 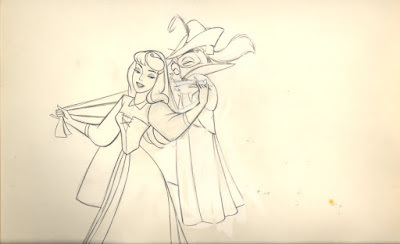 A fun story sketch by Bill Peet, who boarded the "Boy meets Girl" sequence for director Eric Larson. I don't think Peet enjoyed working on such story material. 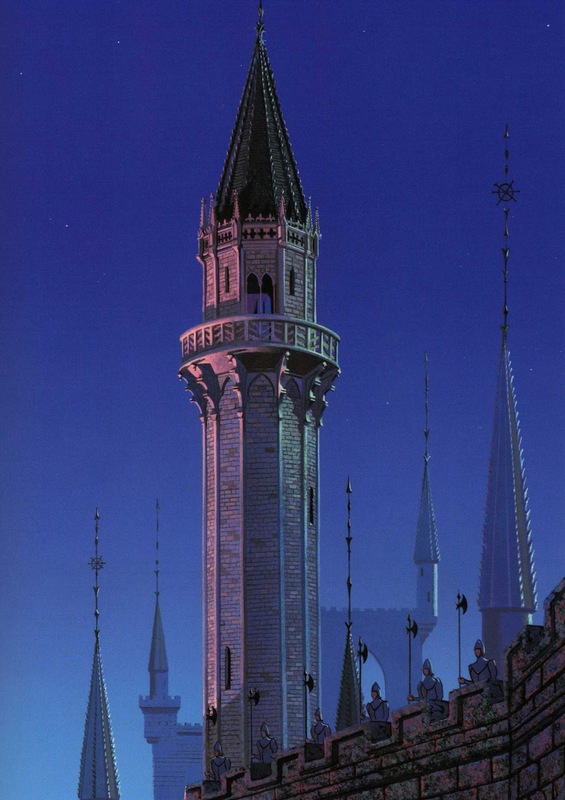 He preferred exploring contrasting, character rich situations. A dynamic story sketch featuring the entrance of Maleficent. The character's design is still at an early stage, based on Marc Davis' preliminary research. Frank Thomas is discussing a scene with Ollie Johnston. 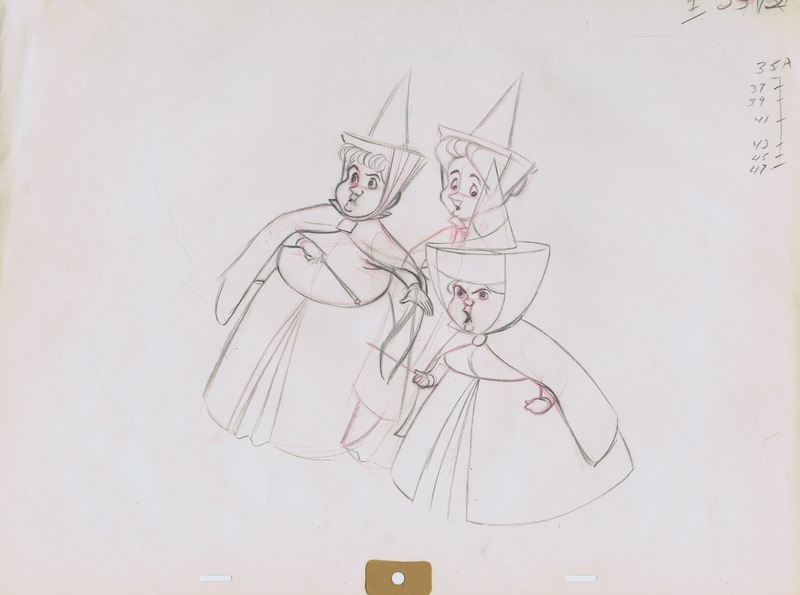 Ollie is in the middle of animating the Three Fairies' reaction to Maleficent's sudden appearance at the castle. 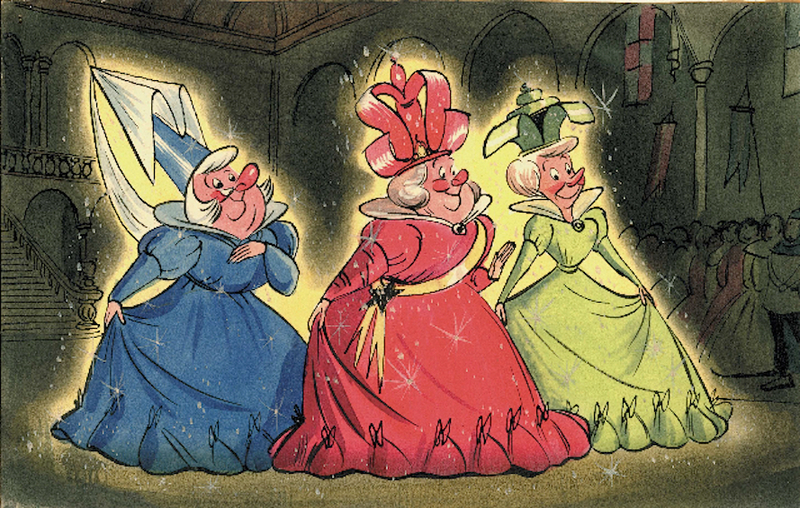 Early designs concepts for the Fairies looked like this. You have to start with something! 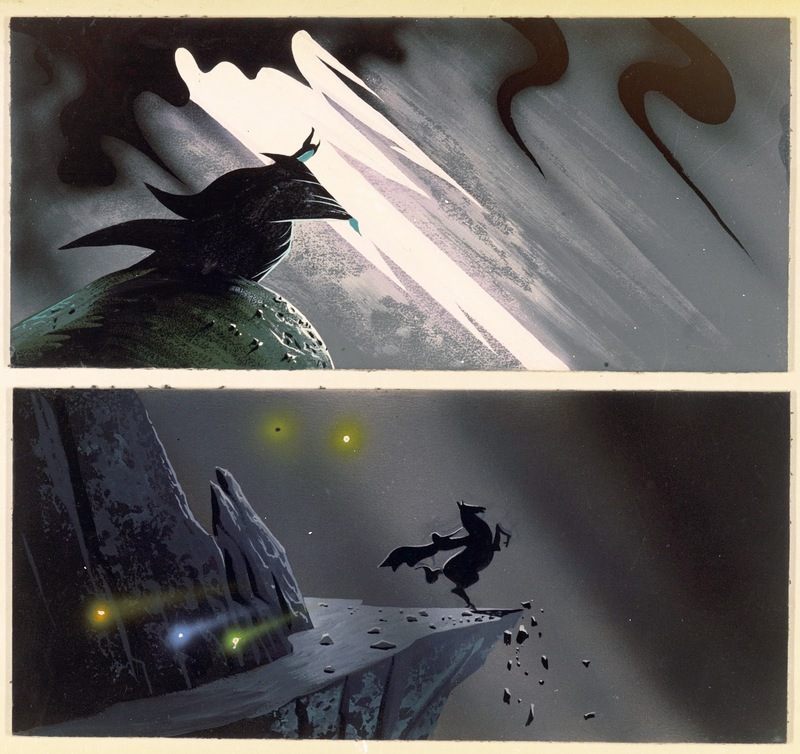 Marc Davis and John Lounsbery teamed up for scenes involving Aurora in the forest interacting with the animals. This is still a younger looking princess. The animation was kept, but re-drawn to represent a more mature looking woman. 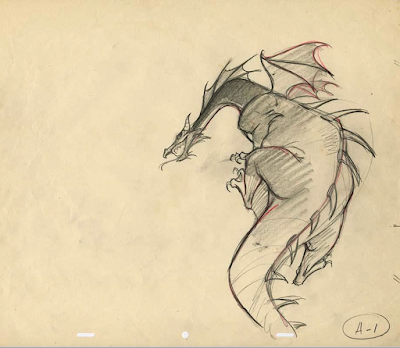 Maleficent as a dragon climbs up a rock to fight Prince Phillip. 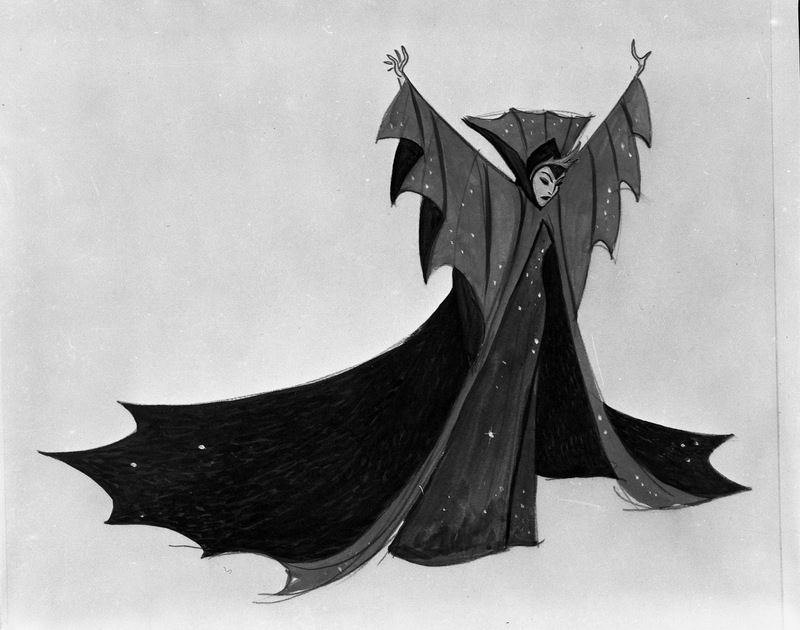 Great drawing, possibly by animator Eric Cleworth. 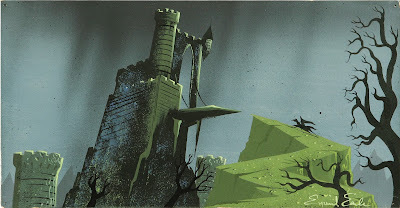 A few Eyvind Earle's concept sketches, so powerful and cinematic! 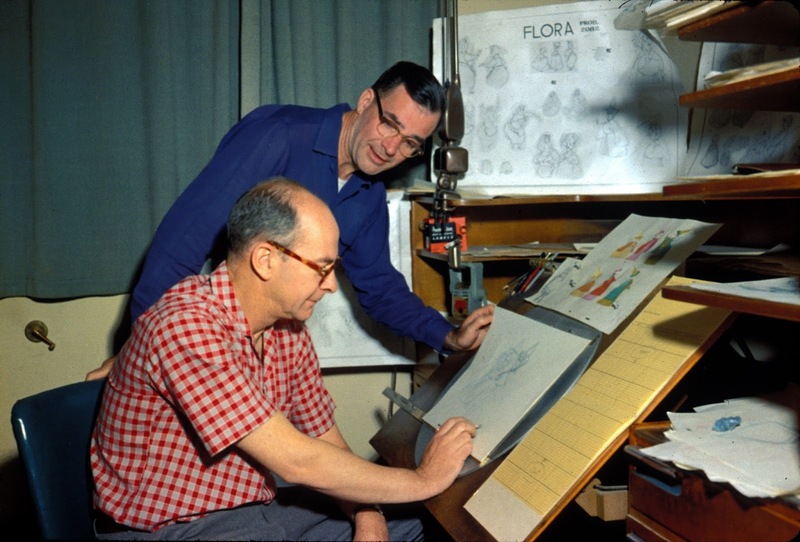 Earle alienated some of the animators who felt that his production backgrounds were way too detailed, and took away from the animation. Most of us just love them for being different and so extravagant. As I mentioned before, in the end your eye will always go to what is moving on the screen...the characters. 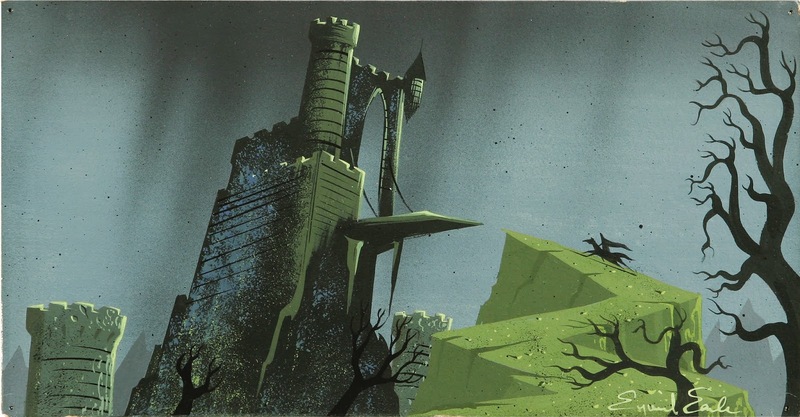 When Earle saw the finished film after his departure from the studio he was "displeased" to find out that several of his background paintings had been airbrushed over, in order to soften the look. Not an easy thing to realize for an artist with such integrity.